A winter storm dumped snow across Vancouver Island Sunday, with more expected to come on Monday. Environment Canada has provided snowfall accumulation totals for the Sunday snowfall. At least one record for single-day snowfall on Feb. 10 was broken at the Victoria Airport, where 16 centimetres fell Sunday. The previous record of 3.6 centimetres was set on Feb. 10, 2014. The hardest-hit areas Sunday appeared to be the Nanaimo-Ladysmith region, with each community receiving up to 40 centimetres of snowfall as of 2 a.m. Monday. Snowfall warnings have been reissued for much of Vancouver Island as another 10 to 15 centimetres of snow is expected for most regions. 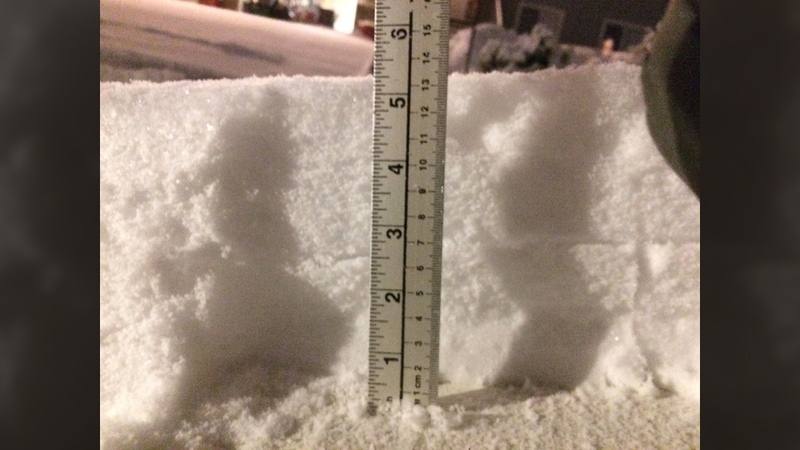 Here's a list of how much snow fell around the island Sunday.